Check out these four steps to finding your perfect apartment. Apartment searching is an exciting time, but it’s not always easy to find everything you’re looking for. However, you deserve to find a perfect apartment that meets all of your wants and needs, so it’s crucial to know how to go through the searching process. Here is a step-by-step guide to finding your dream apartment! While you may want an apartment with two bedrooms and a spacious kitchen, it’s important to be realistic about your budget. A good place to start is to take a look at your finances, and figure that no more than 20 percent of your monthly income should be spent on rent. Next, think about how much space you really need to live comfortably. While you may want an extra bedroom to use as a guest room or office, this will up your rental price quite a bit. If a two-bedroom apartment isn’t in your budget, know that you can easily transform your living room into a place for guests to stay, as well as an at-home office. The apartment searching process can already be somewhat stressful, so don’t wait until the last minute to find a new place. Start searching at least three months before your moving date to schedule as many viewings as possible. When searching through online sites, it’s okay to be picky and only apply to places that meet your demands. Consider the price, location, transportation costs, safety, washer dryer access, and other priorities before reaching out to the landlord. Many online sites offer multiple photos of the space, so if the apartment is carpeted when you prefer hardwood floors, you know that you shouldn’t waste your time reaching out. Once you’ve narrowed down the search and begin touring apartments, landlords will likely want to perform a background and credit card check. It’s best to know your credit score before meeting the landlord, as this will be a significant factor in choosing tenants. You should also bring along pay stubs to verify your income, a letter of employment, and tax returns to show landlords that you are an ideal tenant. Before closing on an apartment, it’s crucial to read the lease carefully before signing. A lease is a binding contract, and you should be aware of everything within your lease. If everything checks out, you can rest easy knowing that you’ve found your perfect apartment! Let Us Be Your Apartment Home! Whether you need your very first apartment home or are relocating to the area, Apartments of Harborside Village would love to be your dream apartment home. Looking for beautiful waterfront apartments in Joppa, Maryland? 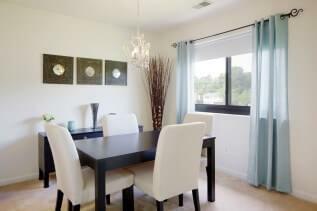 Let us show you one of our spacious and affordable apartments at the Apartments of Harborside Village. To learn more about our apartment options, visit us online, give us a call at 410-679-1130, or email us. For a peek into what it’s like to live in our community, follow us on Facebook, Twitter, Pinterest, Google+, and YouTube! This entry was posted on Friday, May 18th, 2018	at 3:41 pm	. Both comments and pings are currently closed.